PLEASE NOTE: What you are seeing in the thumbnails are Unit 1 Week 5 words. What you will actually be downloading are the correct words for Unit 3 Week 3. 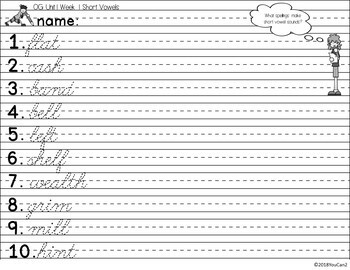 I was looking for a way to help my students practice their weekly spelling list from the McGraw Hill Wonders Curriculum as well as get much needed practice with their cursive writing. I couldn't find just what I needed so this product was born! I use the practice part of this product as homework, however, this practice could easily be completed in class as well. 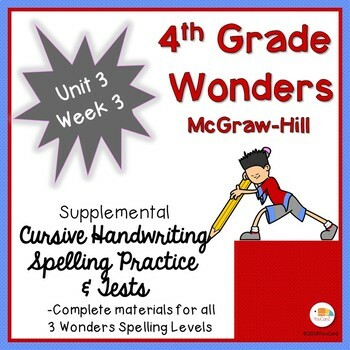 spelling cursive practice for each of the 3 Wonders Spelling Levels (On Grade, Approaching and Beyond Level). 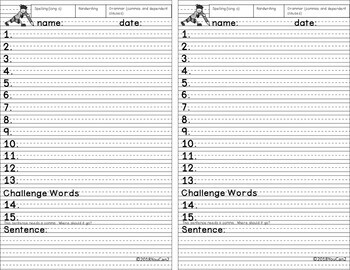 a boxer font spelling practice test for each of the 3 Wonders Spelling Levels. a parent letter with homework instructions. a word sort for each of the 3 Wonders Spelling Levels. 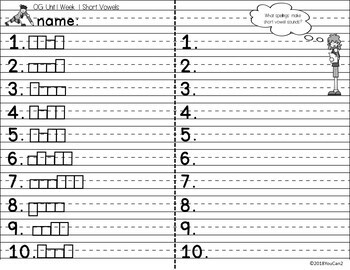 Check out our blog, YouCan2Musings, for step-by-step instructions on the use of the spelling practice at home. Be the first to know about new discounts, freebies and product launches! Look for the green star near the top of any page within our store and click it to become a follower. You will then receive customized email updates about our store.